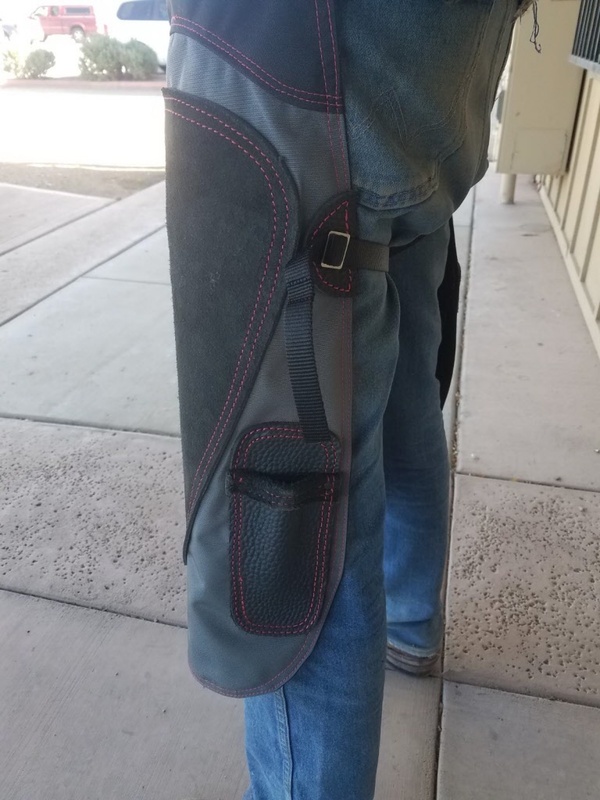 Our Legacy Logo Aprons are made in Arizona and boast a metal belt buckle and leg strap buckles. Offered in two lengths: 27" and 29"
Our Logo aprons are made of quality leather and 600 count Denier. The superior materials even show in the thread with heavy double stitched thread throughout. Our knee pads are made from 9-10 oz leather and cover a larger area offering the best protection. 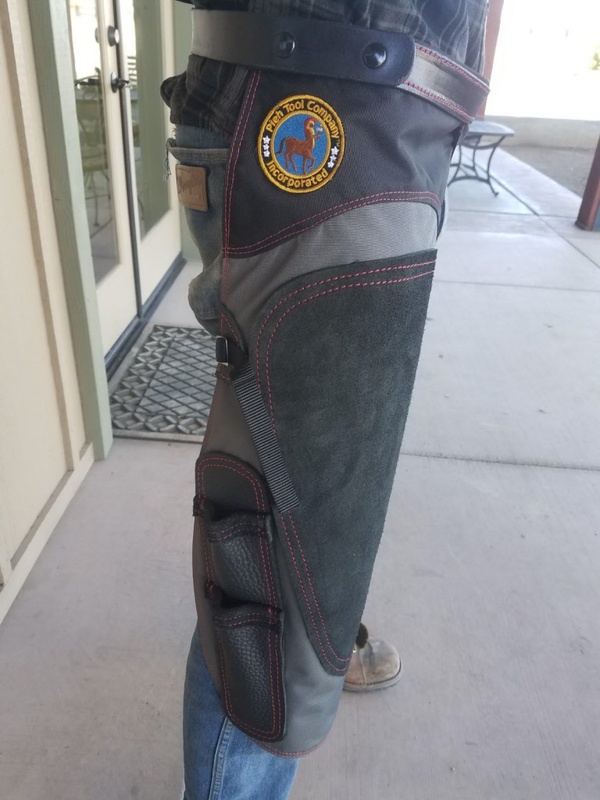 We have generous leather knee pads and double knife pockets on right side and a single on the left side. The belt is made of quality heavy leather with a brushed Conway buckle offering 2 quick release snaps on the waist. 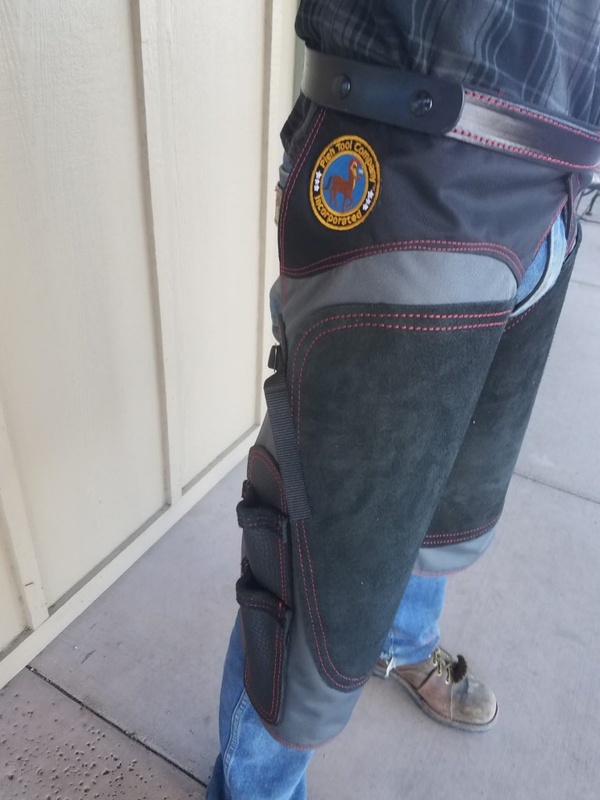 The leg straps are also metal and offer quick release snaps. Plastic buckles break and leave your apron out of commission. Poor leather wears quickly or cracks, leaving your body unprotected. Poor apron fabrics tear and fall apart. We realize you have many choices in aprons. Always consider the aprons safety features, the durability for the best bang for your buck, and the professional aesthetic appearance. 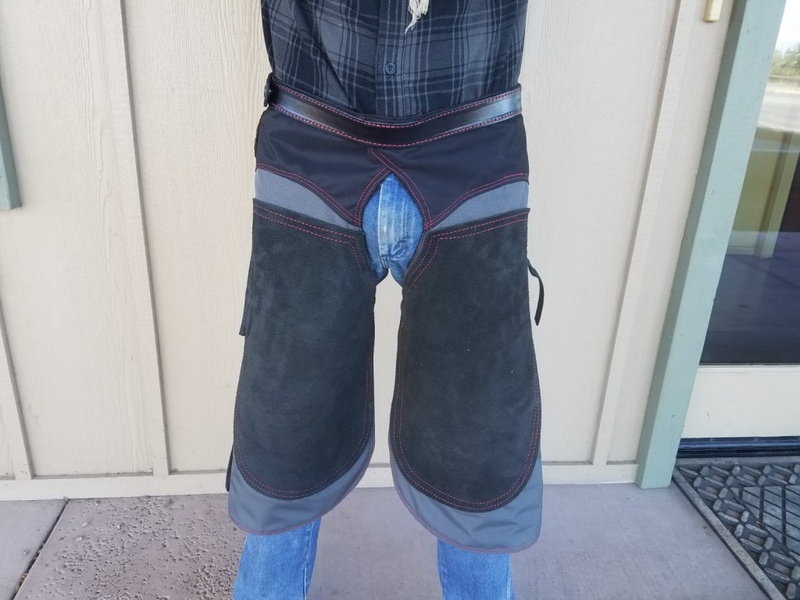 Will the apron wear nicely or will it fall apart and wear in a fashion leaving the farrier with an unprofessional appearance? We are confident the Quality and Workmanship of our Pieh Tool Legacy Aprons will give you, the farrier, a Professional Legacy of your own!